Obituary for George Douglas Lindsay | Beach Funeral & Cremation Services, Inc.
George Douglas Lindsay, 60 entered into eternal rest on March 27, 2019. He was born on October 19, 1958 in Oxford, NC to the late Vasper & Dossie Lindsay. George was educated in the North Carolina public school system and graduated from J.F. Webb High School. He pursued a business education and attended Central University for two years. 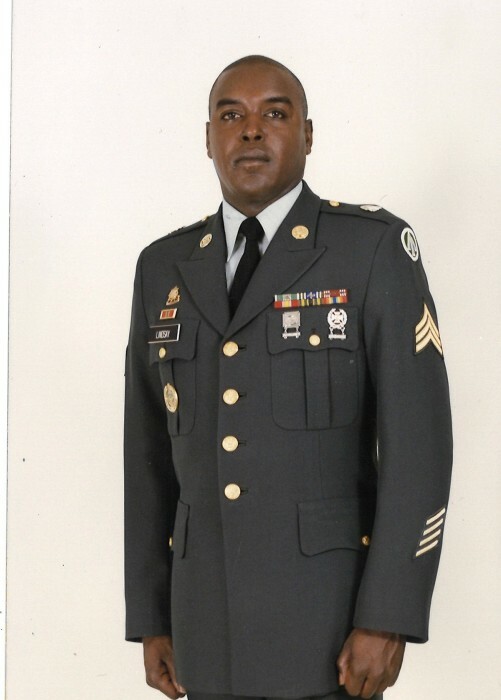 George retired after 15 years of service in the US Army. He was employed as a Material Handler for Stihl Inc. Company for 21years. George was the president of the Ft. Eustis/Ft. Story Retirees Alumni Association Inc., President of the Class reunion of 1977, member of Ruth Lodge 92 Virginia Beach, member of Denbigh American Legion Post #368 Newport News, VA and a member of Baptist Grove Baptist Church in Bullock, NC. Besides his parents, George was predeceased by his brothers, Charles Lindsay, James Lindsay; sister, Tonya Lyons; niece, Tamonica Lindsay; nephew, Sean McCracken; brother-in-laws, Homer Outlaw and Johnny Brothers. George leaves to cherish his memory, his wife of 38 years, Myra Oakley Lindsay; children, Shannon Atkinson (Mike), Shandora Lindsay, Vasper D. Lindsay Sr., Donna Lindsay; grandchildren, Gabrielle Wiggins, Sanae Lindsay, Vasper D. Lindsay Jr., Vaugh Lindsay; siblings, Nathaniel Lindsay (Joyce), Eugene Wilson, Doris Outlaw, Marcia Brothers, Virginia Lindsay, Gloria Lindsay, Michael Hicks (Robin), Ricky Phillips (Sharon); aunts, Bertha Lindsey, Mary Owens Lindsey; special friends, Harry Kirkley, Gerald & Annette Spragan, Richard Holland.